One of the smaller announcements from Huawei at CES was the arrival of the gold colored Nexus 6P in the United States. The gold Nexus 6P, also known as the Nexus 6P Special Edition, was shown off at Google's original San Francisco launch event for the phone. However, when it was released it was an exclusive to the Japanese market. It has since expanded to other markets, with India being the most notable. 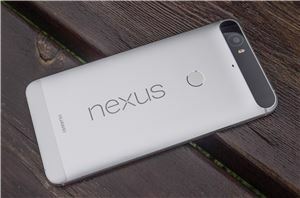 As of today, the gold Nexus 6P will be available in the United States as well, in both 32GB and 64GB capacities. It will be available on the Google Store and from Bestbuy for the same $499 starting price as the other Nexus 6P models.